This is offered to candidates who have completed two years of secondary education (advanced level) and have had three credits at CSEE level. The ACSEE exam is conducted in the first week of May every year. The objectives of this examination are to assess the learner’s knowledge and ability to pursue with further education such as diploma and degree courses; to examine the extent to which the learners can use the skills gained to meet the social, political, economic and technological challenges for the individual and the national development at large. Therefore, candidates at this level are expected to possess the following skills in a broad range of activities: knowledge, comprehension, application, analysis, synthesis, and evaluation. necta tanzania national examination result : – allow students to check the “ACSEE Results 2019-2020” by sms through the mobile phone. If you do not have Internet connectivity then you may check the “Matokeo kidato cha sita 2019 via SMS” to get the result to check the SMS process below. From 2016 the National Examination Council Of Tanzania (NECTA) developed online Matokeo ya Mtihani wa Kidato cha Sita through official website (www.necta.go.tz acsee 2019). Now students of Tanzania can check their Advance Certificate of Secondary Education Examination Results 2019/2020 online. Check below for step by step guide to get the result online. Step 5: Select “Exam Type” as ACSEE. N.B. 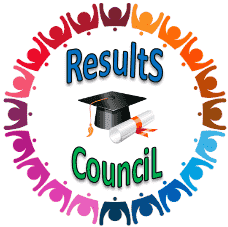 : Do not forget to save/download the acsee results 2019/2020 for future reference.